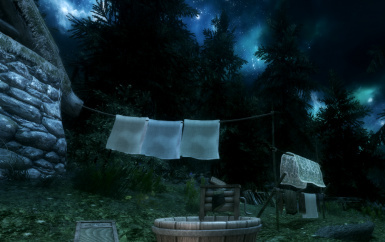 Adds decorative clotheslines and other washing-related items throughout Skyrim, for a touch of realism. 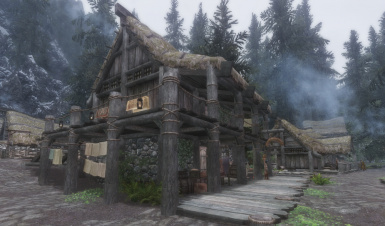 Original Meshes and textures by InsanitySorrow, used by permission. 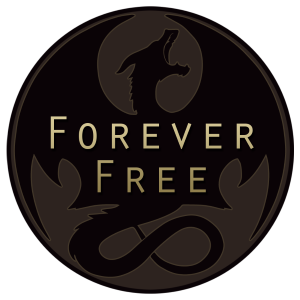 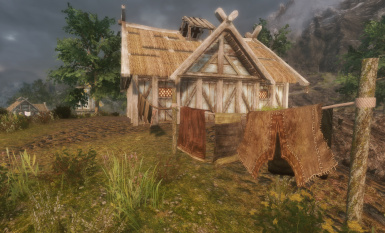 The updated assets in this mod can be used freely in other mods, with credit given to InsanitySorrow for the original work. 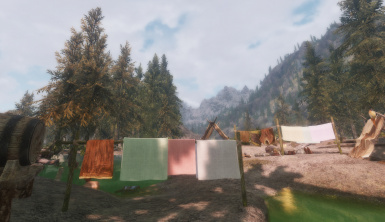 Feel free to copy the in-game implementation of static objects, activators and texture sets to add laundry to other mods. 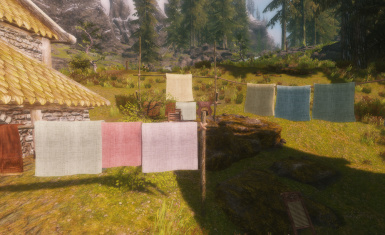 A link to Immersive Laundry on your mod page would be nice. 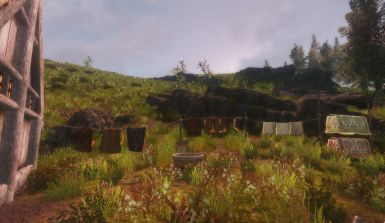 The Immersive Laundry mod itself is Nexus exclusive, don't go hosting this elsewhere. 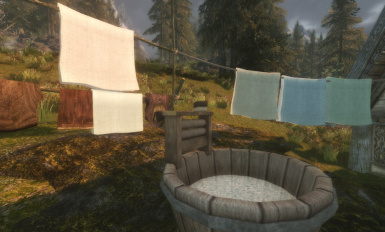 Laundry and laundry accessories arranged in Skyrim by Nerd of Prey. 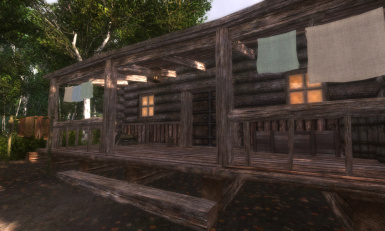 Updated meshes by Tamira and Nerd of Prey. 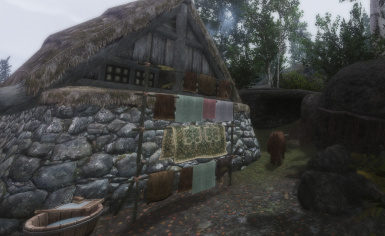 SSE meshes by Rusey. 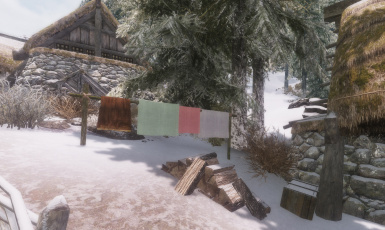 Updated textures by Nerd of Prey. 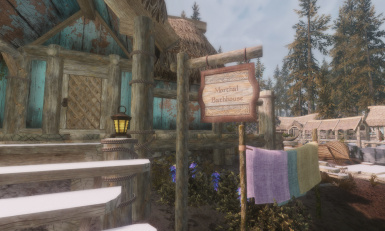 Original meshes and textures by InsanitySorrow. 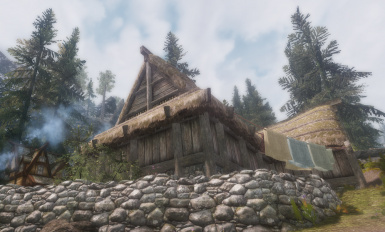 Thanks as always to Bethesda for Skyrim and the Creation Kit. 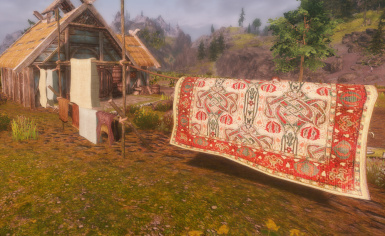 Slimmed down rug meshes a bit so they don't look so ridiculous. 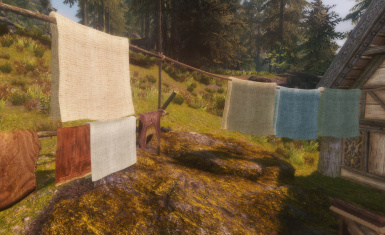 Removed collision from clothesline meshes entirely, by popular request. 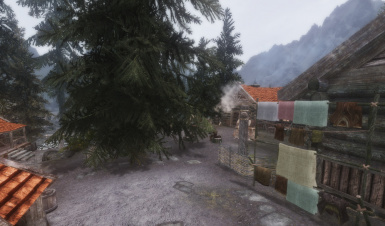 Optimized textures; reduced resolution in a few cases where they just didn't need to be that big, used better compression formats all around. 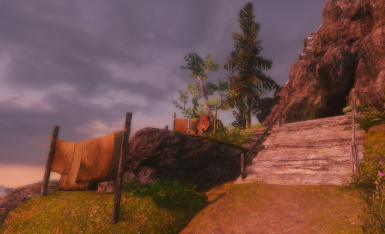 Cut most file sizes way down. 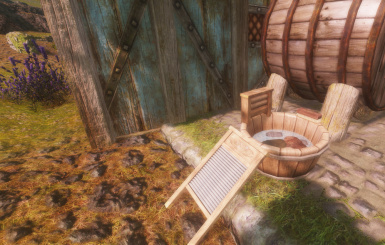 Removed "scrubby" logos from wooden objects, because those have always been a bit weird. 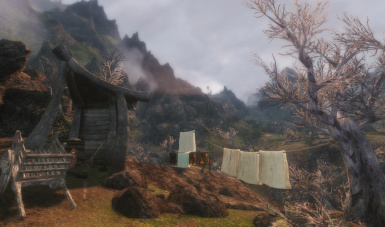 This was kind of "quick and dirty" work; I did not remove them from normal maps so there might be a faint trace left. 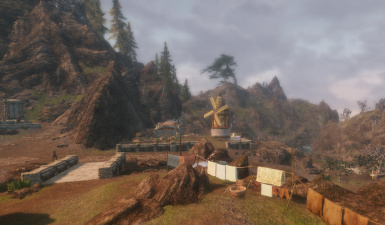 Added environment maps for metal objects. 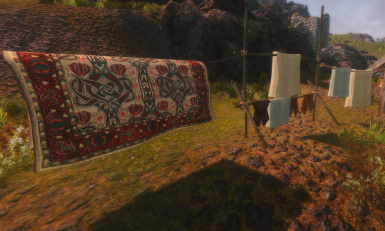 Removed specular maps that never worked right. 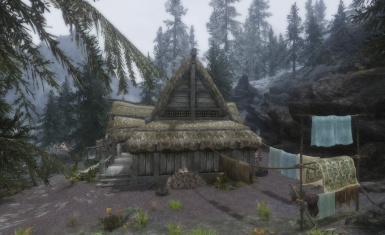 SSE note: I do not yet have Skyrim Special Edition installed. 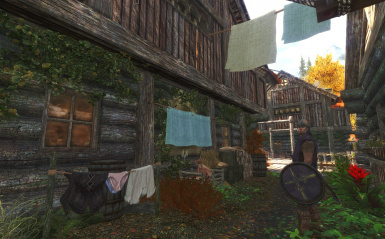 It may be some time before I do. 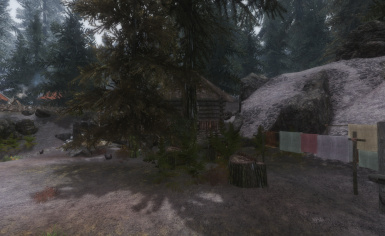 The updated .esp file and meshes available on this page were created/tested by Rusey. 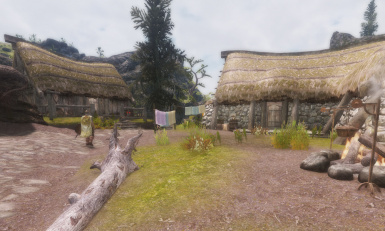 Please bear in mind that this is otherwise an exact copy of the original Skyrim mod, and has not accounted for any little changes to the landscape that may have occurred in SSE. 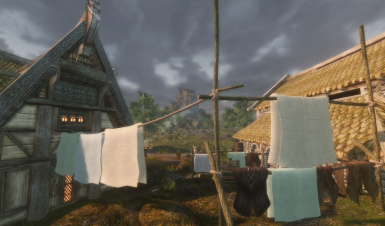 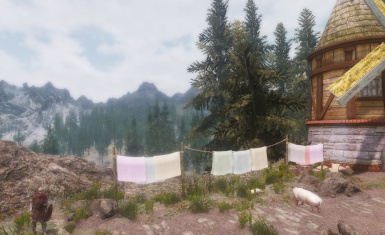 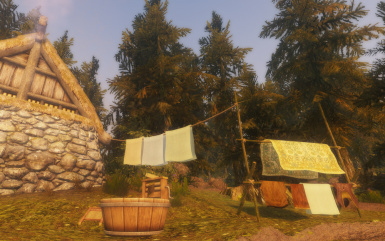 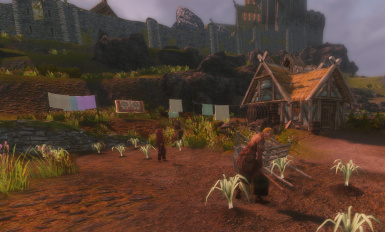 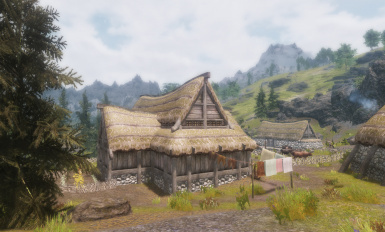 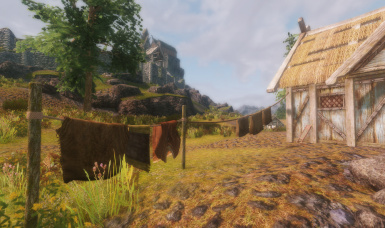 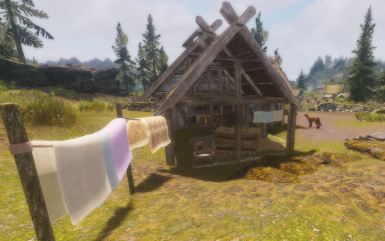 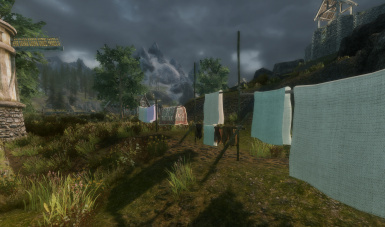 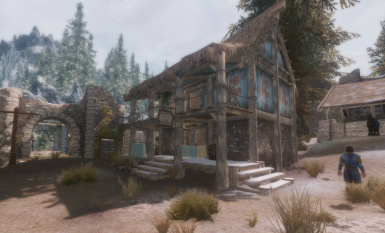 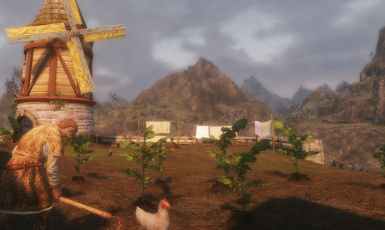 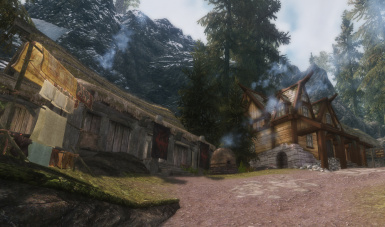 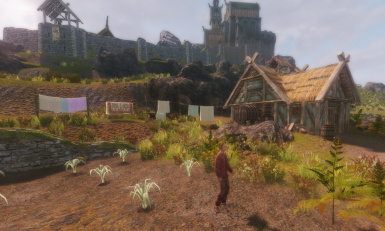 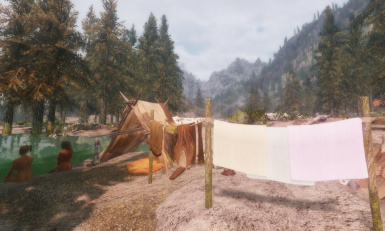 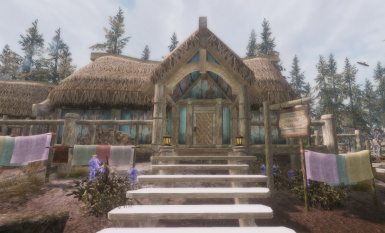 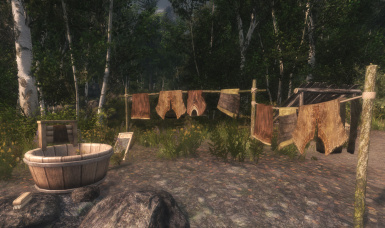 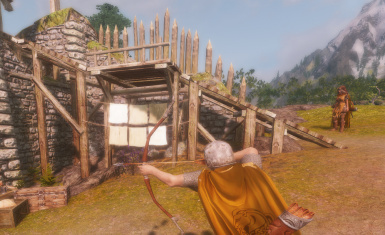 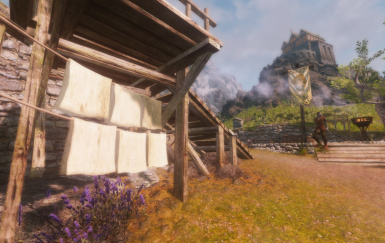 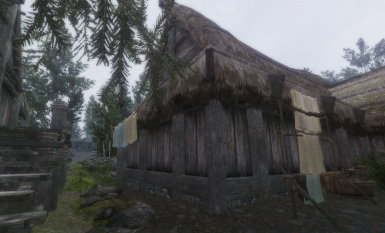 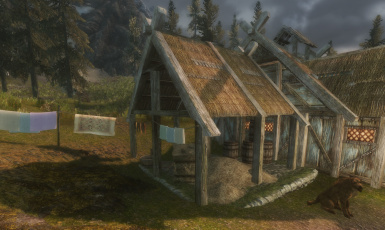 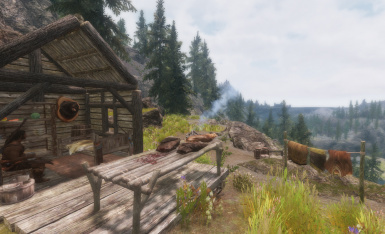 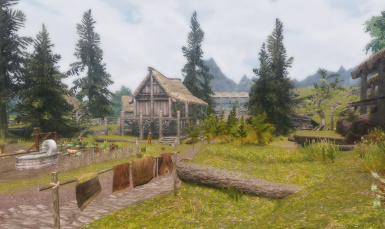 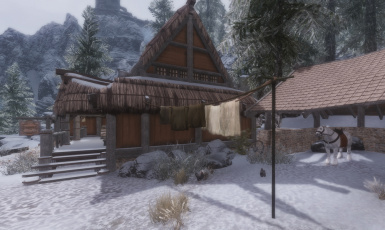 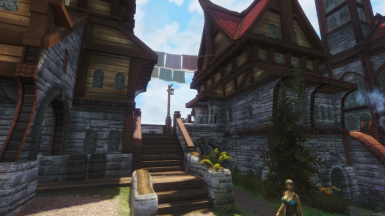 This mod adds a touch of the ordinary to the homesteads of Skyrim in the form of many clotheslines - and occasionally washboards, basins and scrub brushes. 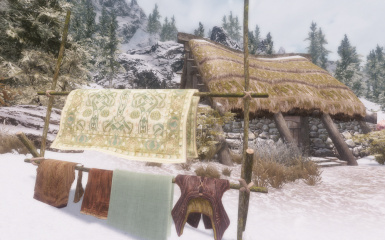 They are simple decorative objects, placed with care in almost every civilized area of the game, with an emphasis on making houses, cabins and occasionally forts feel a little more like home. 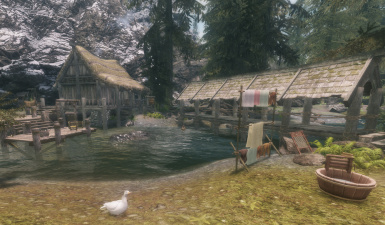 New in 1.0: REAL WATER! 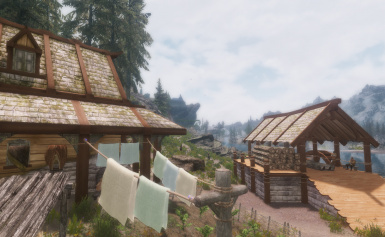 At last, the long-awaited Full Release! 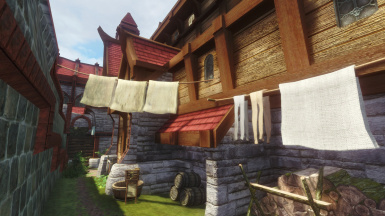 All cities and towns laundrified! 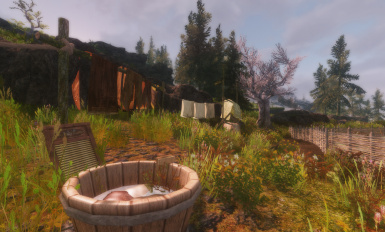 Real water in wash tubs! 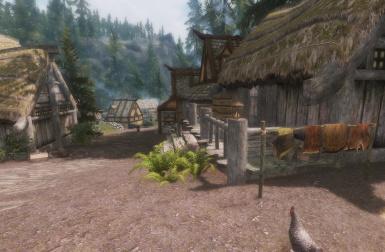 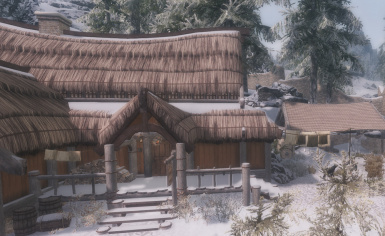 100% built-in support for Expanded Towns and Cities, JK's Skyrim, Dawn of Skyrim and more in main file! 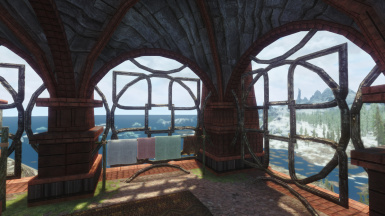 On the horizon: DLC version, someday, probably. 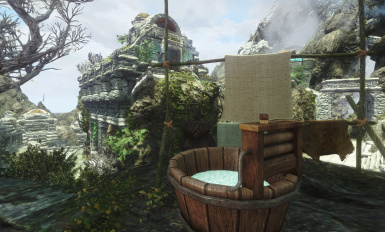 This requires only vanilla Skyrim and should be compatible with pretty much everything. 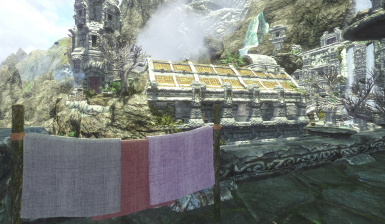 Script-free, close to zero performance impact, and thoroughly cleaned in TES5edit. 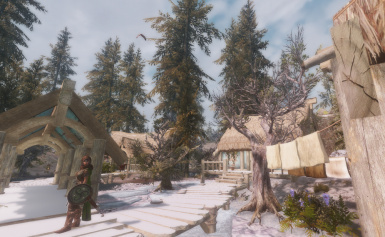 ...and hundreds of other mods that I happen to use! 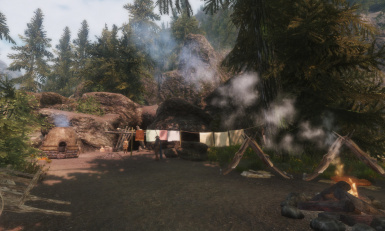 As always, I invite people to test it out and point out any mod conflicts with clothesline placement, and (within reason) I can maybe scoot things around and accommodate you. 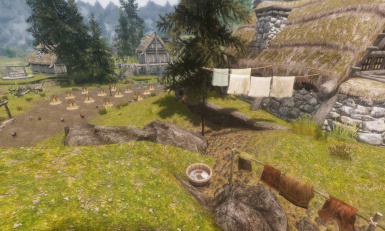 I'd need screenshots. 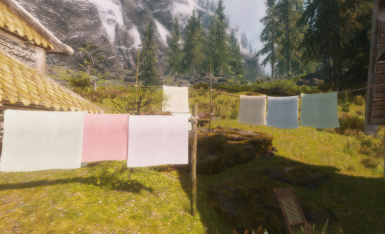 Despite being tucked in out-of-the-way spots, the clotheslines might occasionally interfere with NPC pathing. 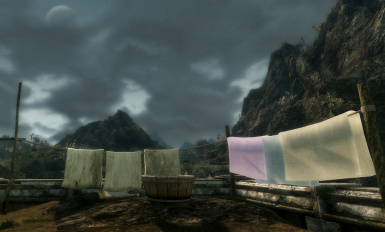 InsanitySorrow for the original meshes and textures. 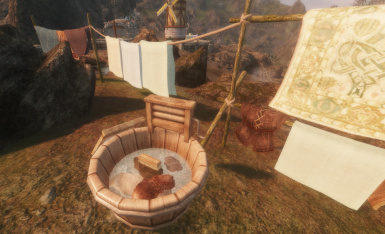 Tamira for - among other things - putting real water in the wash tubs! 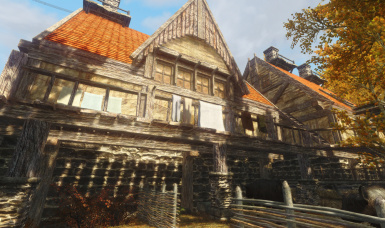 Rusey for making the initial SSE conversion. 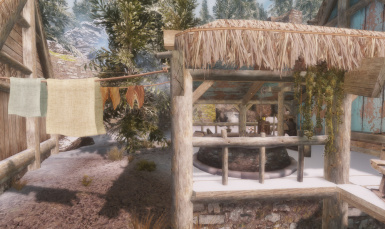 Jokerine for helping me get this mod off the ground. 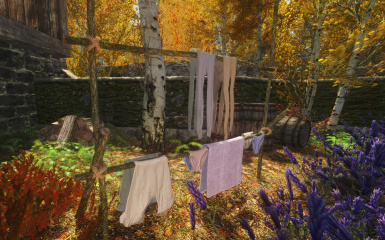 SparrowPrince for some good advice.